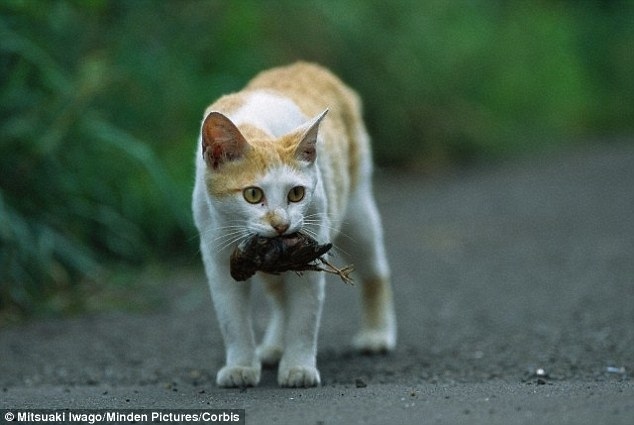 AKIPRESS.COM - A tiny New Zealand town wants to ban cats under a new 'pest plan' to protect native wildlife, Dailymail reports. Cat owners in the small Southland community of Omaui will need to have their feline friends de-sexed and micro-chipped, placed on a council list and monitored until the time of their death. 'Your cat can live out its natural life at Omaui happily doing what it's doing,' Omaui biosecurity operations manager Ali Meade told Newshub. The drastic new changes might spell the end for all cats in the coastal town, with those wanting to buy a new or replacement cat seen to be in breach of the Pest Management Act. Environment Southland has proposed the changes to help protect biodiversity in the area. Ms Meade said rules and regulations to monitor cat ownership in the area would have a huge positive impact on the environment. She said trail cameras had been recording cats in the area to monitor the damage they're doing to the native flora and fauna. 'There's cats getting into the native bush, they're preying on native birds, they're taking insects, they're taking reptiles, all sorts of things. They're doing quite a bit of damage,' she explained.